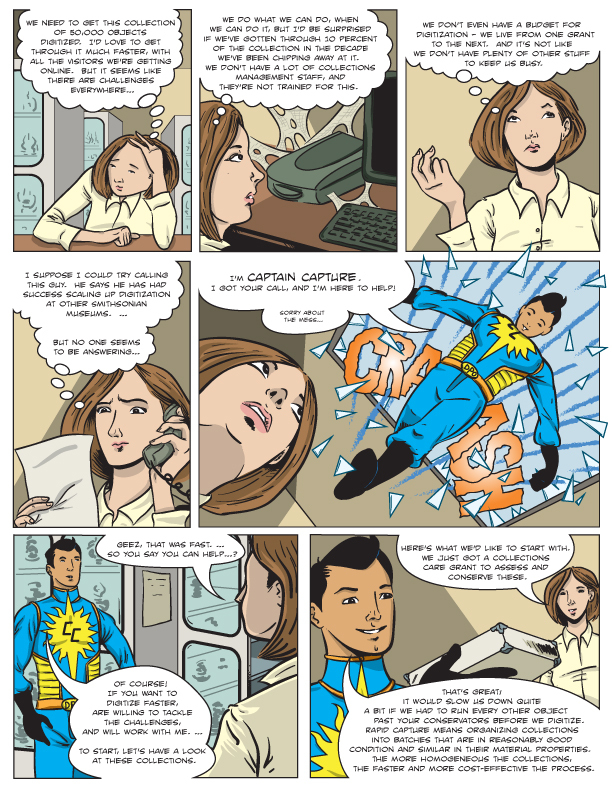 Meet Captain Capture, the hero of the Smithsonian’s Digitization Program Office! Like all great superheroes, he has an origin story. He was born in the wilds of Landover, Maryland, in a secret lab owned by the Smithsonian. Well, maybe not… but he was created and drawn by Evan Keeling, an OEC graphics specialist and comic book artist who took on this endeavor. 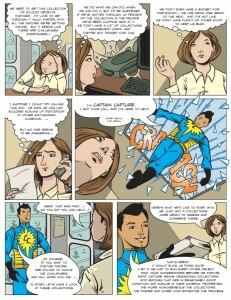 The comic explains how the DPO rapid capture process works, and how it can benefit collections at the Smithsonian. 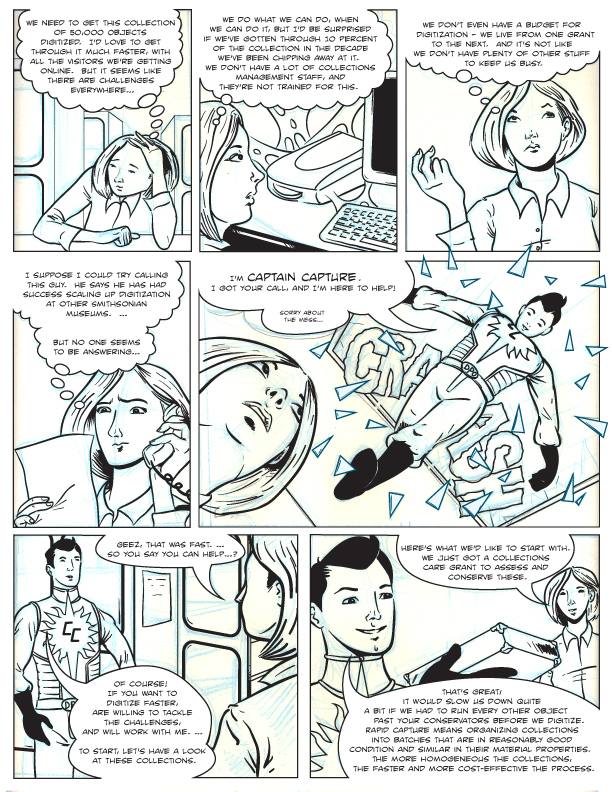 DPO recently launched the Captain Capture comic book at the 2014 Digitization Fair. 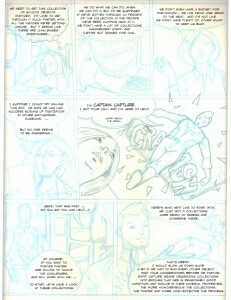 Evan was kind enough to share with us mortals how he brings a comic page to life using pencils, inks, and digital media. 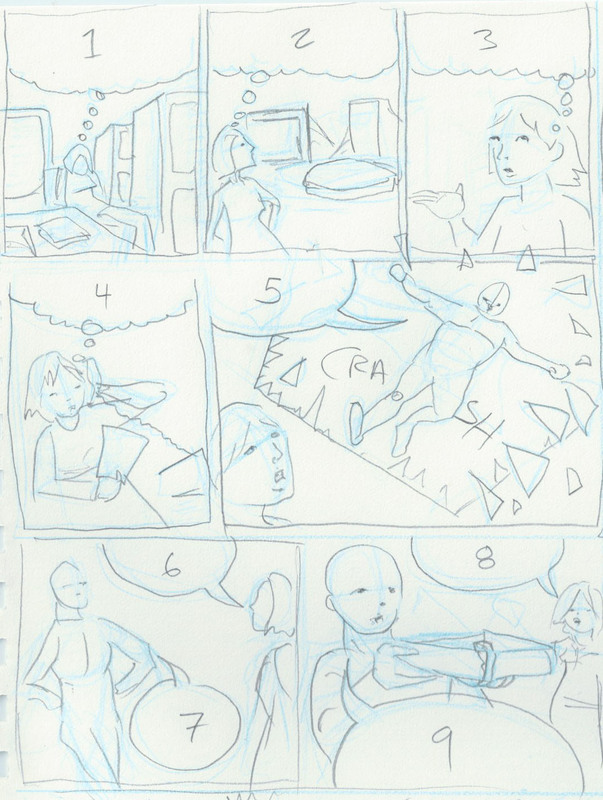 After reviewing DPO’s script, Evan outlined the potential frame layouts in pencil. 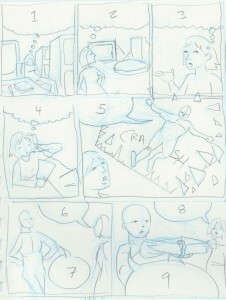 After the text was in place, he inked the page to provide definition and establish the mood. 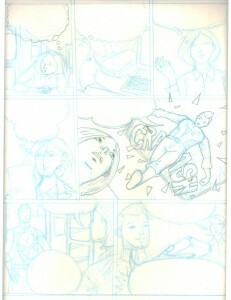 At the end of our hero’s journey, color is applied and BAM! 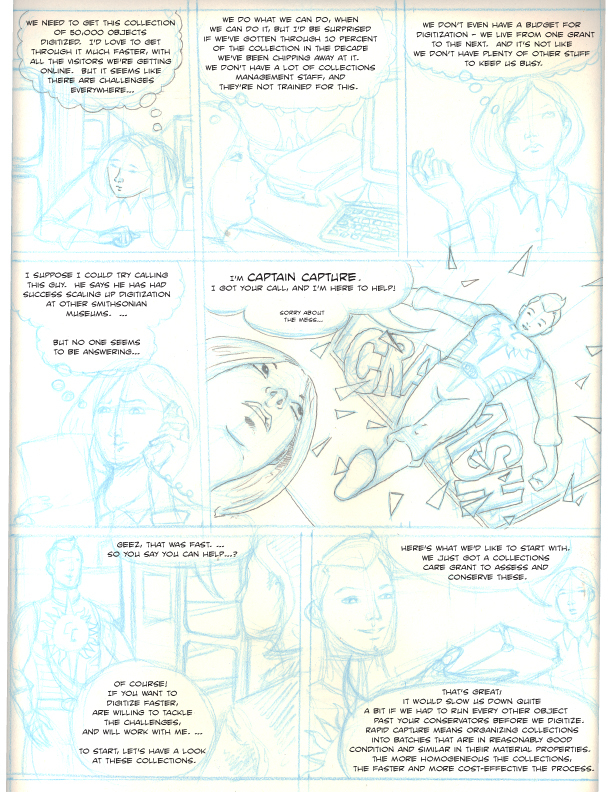 Captain Capture is here to save the day…and your collections.